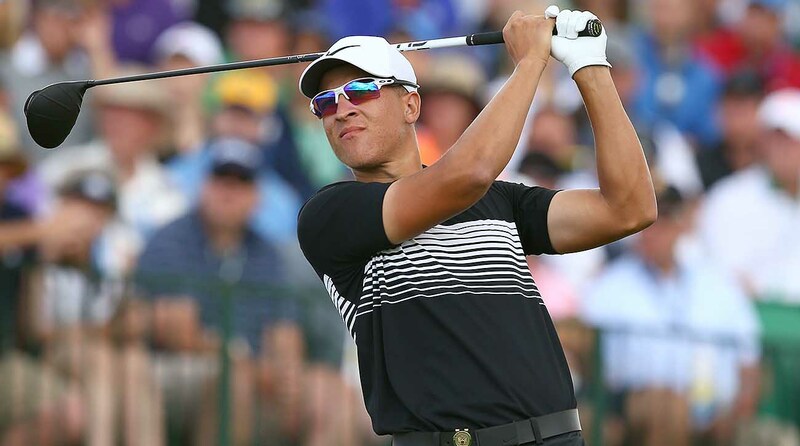 Check out the latest driving distance numbers behind PGA Tour rookie Cameron Champ. There may have only been one event of the PGA Tour 2018-19 season so far, but we can pretty much guarantee there will be a new longest hitter on Tour by the end of it in rookie Cameron Champ. Champ, 23, may have finished solidly with a tie for 25th at the Safeway Open last week, but it's his ridiculous driving stats that are getting everyone a little excited to start the new season. Yes, Dustin Johnson, Bubba Watson, Rory McIlroy, Tony Finau and Luke List won't be going anywhere in a hurry with their distance off the tee, but they now certainly have a new competitor in the shape of Champ, who led the driving distance charts last week with an average of 317.1 yards. When it comes to clubhead speed and ball speed with his Ping G400 Max driver, Champ storms the statistics with 129.66 mph and 192.67 mph respectively. That's at least 5 mph better than anyone else in clubhead speed, and 10 mph more in ball speed. Last season on the PGA Tour, Keith Mitchell won the average clubhead speed data at 124.67 mph, with Trey Mullinax leading the Tour in ball speed at 182.22 mph, followed by Tony Finau (181.81) and Rory McIlroy (181.57). Champ earned his PGA Tour card on the Web.com Tour earlier this year where he finished sixth on the money list and he won the Utah Championship while averaging JUST 391 yards off the tee. He may have only found 50% of his fairways at the Safeway Open last week, ranking him 88th in the field, but he did still lead the field in strokes gained: off the tee. This guy is definitely one to watch, certainly with driver in his hand this season.